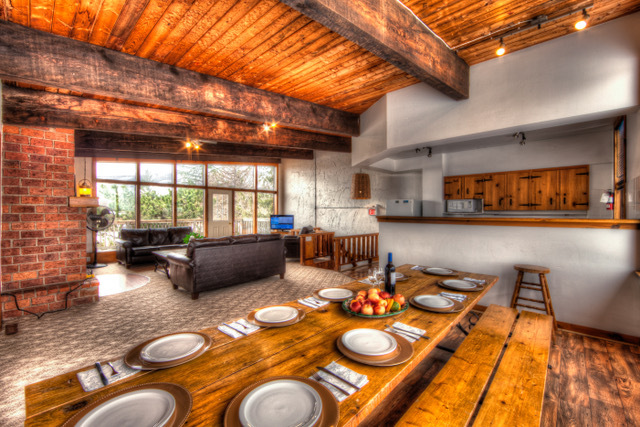 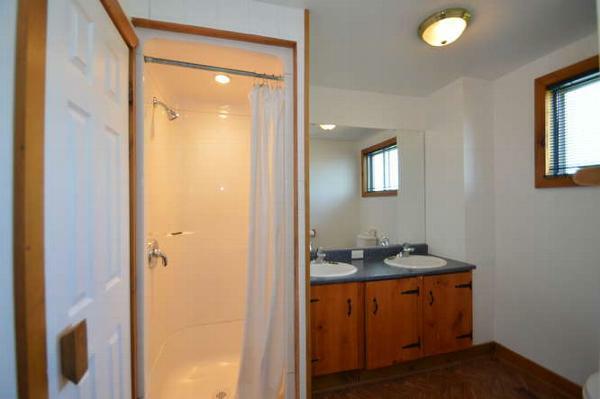 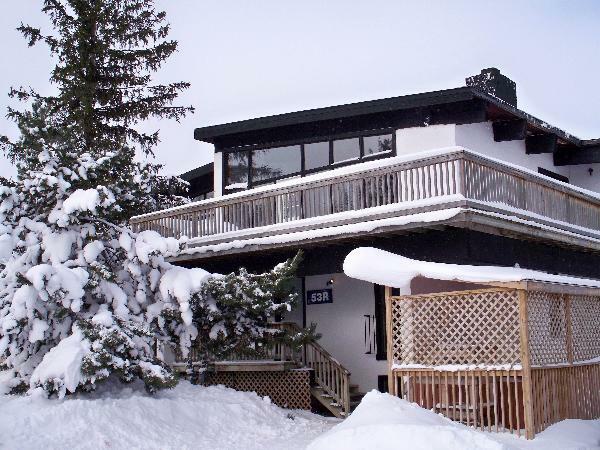 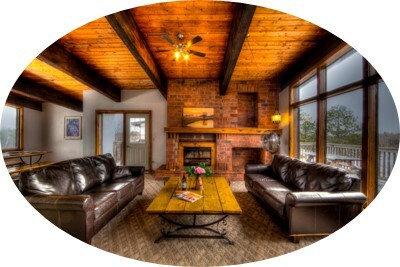 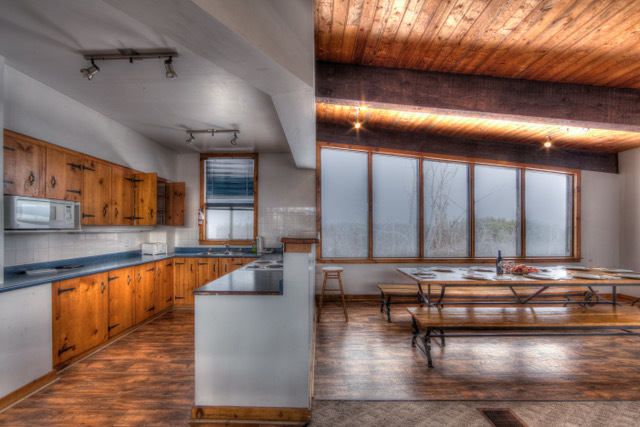 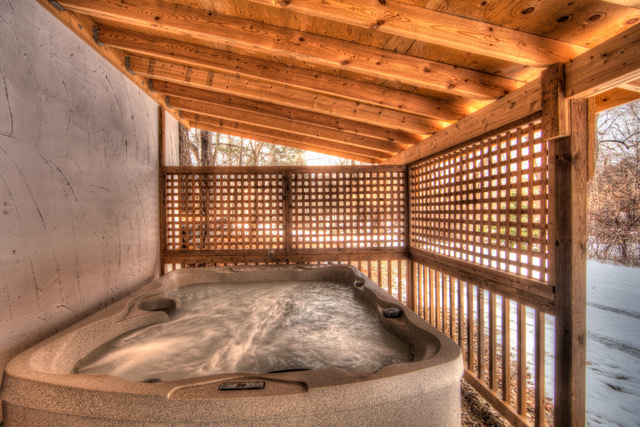 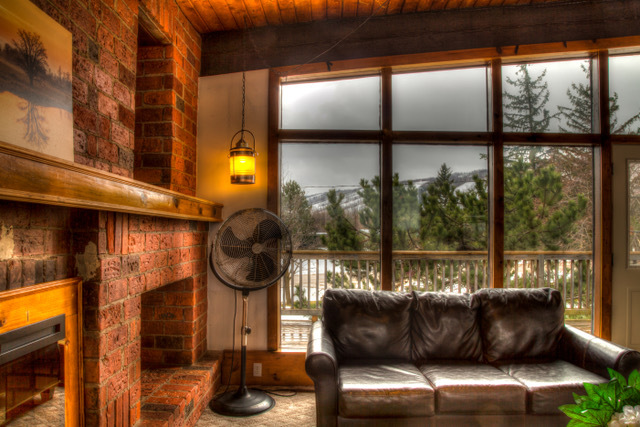 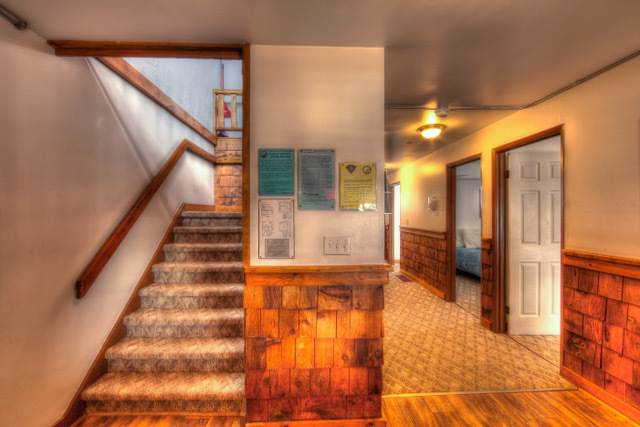 A traditional Swiss style CHALET / COTTAGE with approximately 2,400 square feet of living area. 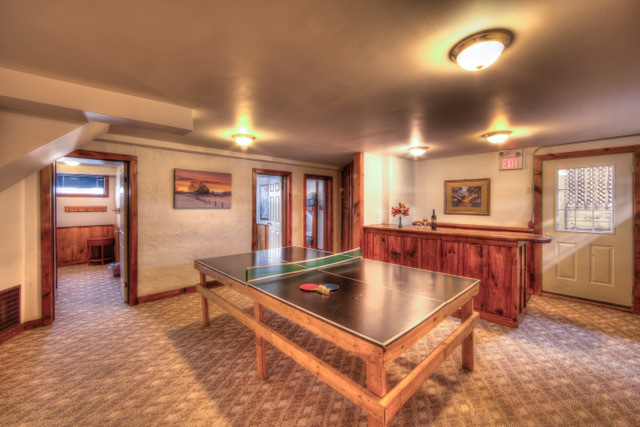 The downstairs features a large recreation room with a ping pong table and bar area. 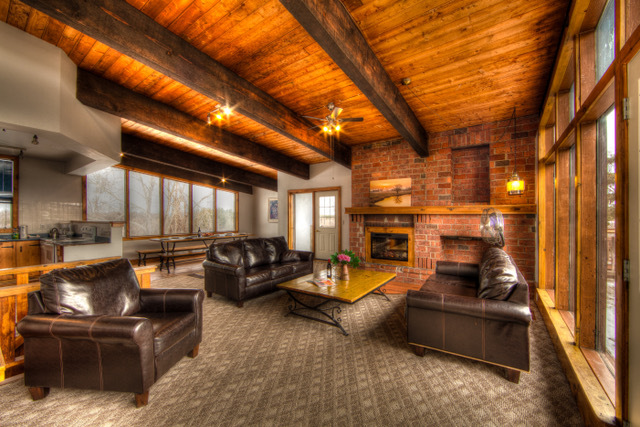 The top floor is open concept with a large fully equipped kitchen, dinning area for your whole group and a living room with fireplace. 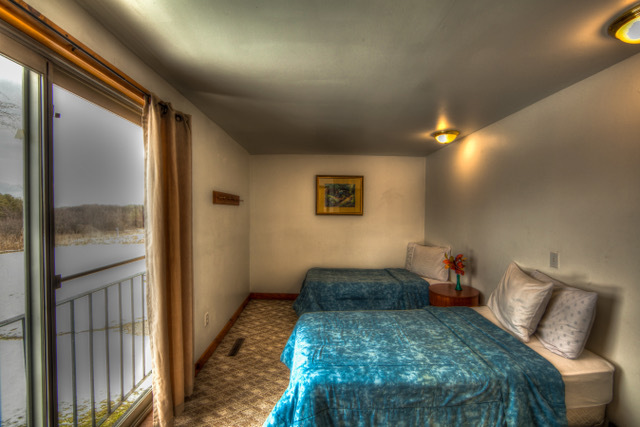 Main floor: 3 bedrooms with 2 single beds each. 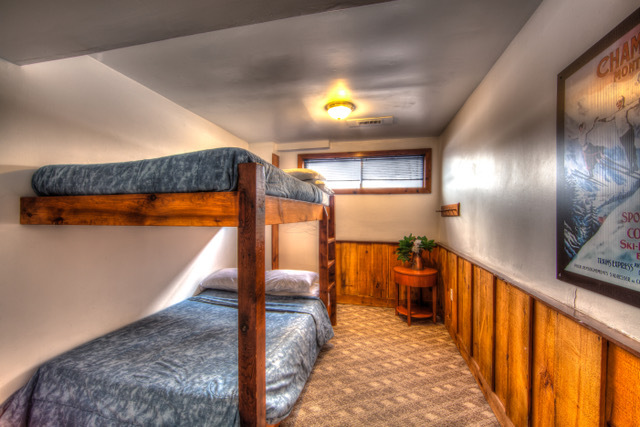 Lower level: 3 bedrooms with dbl bunk beds in each room.